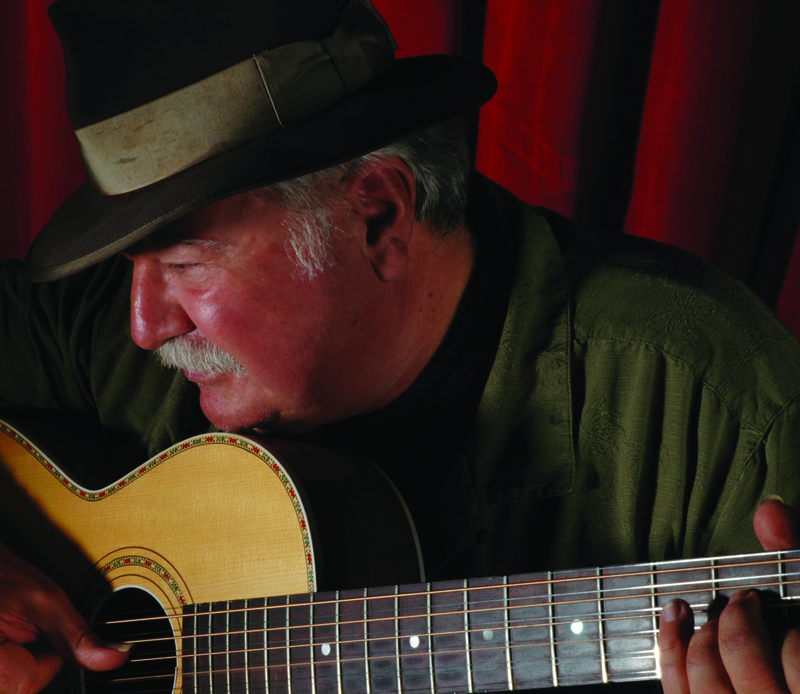 Paul Geremia is a guitar-picking veteran, a true blues scholar blending jazz and acoustic country styles for over 40 years. Called “one of the finest blues artists” by Rolling Stone, he is a husky, soulful singer and a master of both the six and twelve-string guitar as well as a first-rate harmonica and piano player. He has an innate sense of the humor and drama of the blues, delivering rollicking songs of loving and living with a wink and a smile. Paul’s background isn’t typical for a bluesman. 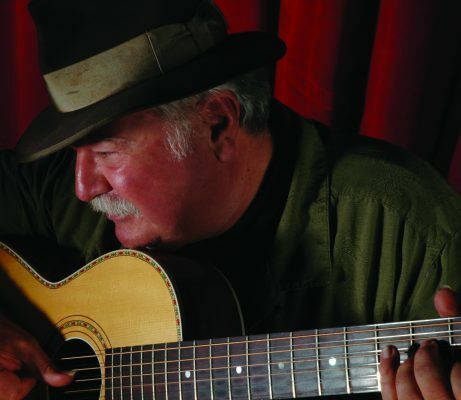 He is a third generation Italian American who, as he laughingly puts it, “was born in the Providence River Delta.” Growing up in Rhode Island, he bought blues albums at the Salvation Army and heard R&B and jazz from recently relocated African Americans who had moved up from the southeast coast. His first instrument was a harmonica, and in his teens he started fooling around on a friend’s electric guitar. Paul’s dad had an acoustic guitar (a plywood Stella) that he never played, and when he left for college, he took it from behind the couch where it had been gathering dust. It was in college that he really started to focus on the instrument, learning to play from fingerpicking friends who were fans of Chet Atkins. 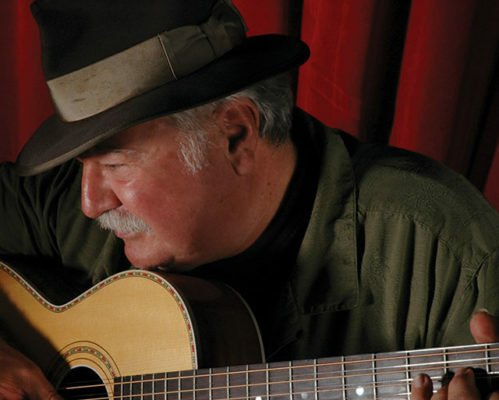 During the early part of the Sixties folk revival, Paul got a taste for acoustic blues. At various folk festivals, he heard a lot of young white guys playing blues, guys like Tim Hardin and Tom Rush. Before long, he had the opportunity to hear the great black blues players, men who had recorded in the Twenties and Thirties and were being “rediscovered” by a new generation. Pretty soon Paul was living and playing in the middle of a thriving blues community and had the opportunity to meet some of the greatest players. As his style shows, he’s learned something from every musician he’s met, including Pink Anderson, Fred McDowell, Blind John Davis, Carl Johnson, Skip James, Son House, and Howlin’ Wolf. 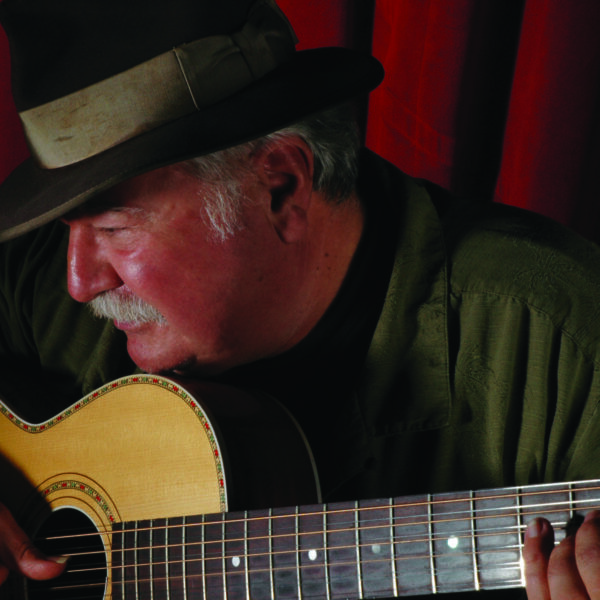 Paul has recorded eleven solo albums, and has been featured on numerous anthologies, including Preachin’ the Blues: The Music of Mississippi Fred McDowell (Telarc), which earned a Grammy nomination in 2002. His superb recordings have made him a critical favorite and place him firmly among the legends who inspired and influenced him over the past three decades. Two of his Red House releases, Gamblin’ Woman Blues and Self Portrait in Blues, were both nominated for W.C. Handy Awards. His new live collection Love My Stuff captures Paul at his best—on a stage in front of an audience, giving powerful and soulful performances. Paul’s performances are a smooth blend of blues styles and traditions. “The whole thing, in a nutshell, is you just absorb as much as you can,” he explained in Acoustic Guitar. He is remarkably well-versed in the music of the great players: the Delta slide of Robert Johnson, the ragtime style of Willie McTell and Blind Blake, Leadbelly and Lemon Jefferson’s Texas sound, the uptown blues of Scrapper Blackwell, and Lonnie Johnson and Teddy Blum’s jazz. In his interpretations as well as original pieces, Paul incorporates the techniques of these legends into a distinctive style that is very much his own. It is no wonder that his list of admirers includes such guitar legends as Bonnie Raitt and John Hammond.